As the core Childrens’ and Young People’s audiences move onto Digital platforms we have been creating our own properties and platforms, sometimes working in alliance with partners. Digital work is carried out through our wholly owned subsidiary Magic2Media. Click here to find out more about Magic2Media. Our Youtube preschool channel Bogglesox TV hosts our original shows card-puppetry property ‘My Magic Theatre’ and our stopframe show ‘Bitziboos’. Bogglesox TV also hosts Grandpa in My Pocket clips and songs as well as Ha Ha Hairies full episodes! Other shows on the channel include Spider and Katya. 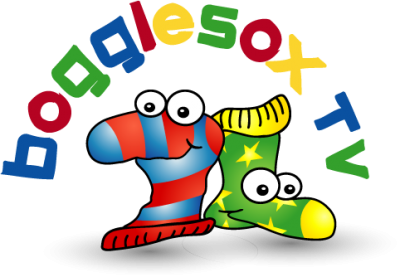 Click here to find out more about Bogglesox TV. We have also launched an anarchic puppet property called ‘Shloppy’ who provides Edutainment for the pre-teen market as he travels round places of interest and vlogs his opinion about the world. Watch Shloppy TV here! We are continuing to develop digital content including a pre-teen Spooky drama and a pre-school music puppetry property.